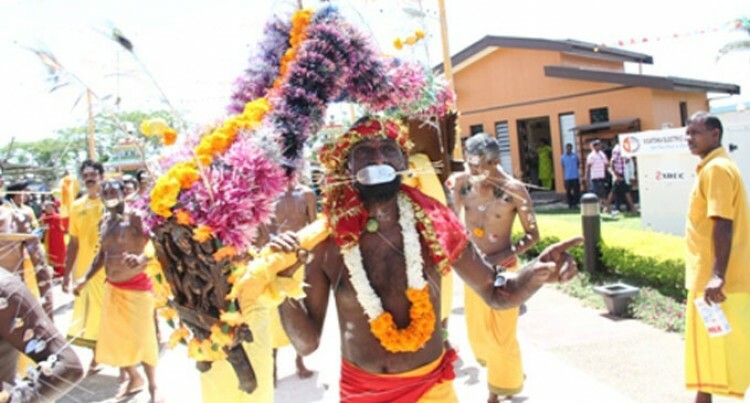 Hindu devotees in Nadi this week. The Sri Siva Subramaniya Swami temple continues its 89th Vaarshika Thaipoosam Thirunaal festival this week in Nadi. The week-long festival will end on Saturday 8th of February. “Thaipoosam” is a very important ten-day Brahama Uthsavam (celebration) held every year at Sri Siva Subramaniya Swami Temple, the biggest temple in this part of the world. Temple president, Gandhi Mestry said, “people are coming in numbers to perform their prayers, and eat the food we are providing. This festival attracts thousands of devotees from throughout Fiji and aboard. “People are attending the prayers mostly in the morning and they are coming from many villages and settlements,” Mr Mestry said. Thai is an auspicious month in Tamil Nadu, India. This festival is celebrated on the full moon day this time when the moon passes through the Star “Poosam or Pusya”. Hindus all over the world are celebrating this festival in Murugun temples including the six bastions of Lord Murugun ( Arupadaiveedu) in Tamil Nadu, Malaysia, Singapore, London, Sydney, Paris and USA. Lord Murugun is the younger son of Lord Shiva & Parvati. In Tamil Murugun means handsome. The handsome god is represented as Lord of War and he is known as the chief of Dev Army (Dev Senapathy). “Thaipoosam” is dedicated to the Lord Murugun. Murugun is also known as Karthikeya (Karthik Swami), Subramnaiya, Shanmukhan, Shadanan, Skandan and Guhan. It is believed that on this day, the goddess Parvati presented a chance to Lord Murugun to defeat the demon army of Tarakasura and combat their evil deeds. Therefore, Thaipoosam is a celebration of the victory of good over evil. The committee agreed that this occasion gives all every reason to offer their prayers to the almighty to ensure that the year 2015 gives all prosperity, good health, peace and protection from evil throughout the globe.